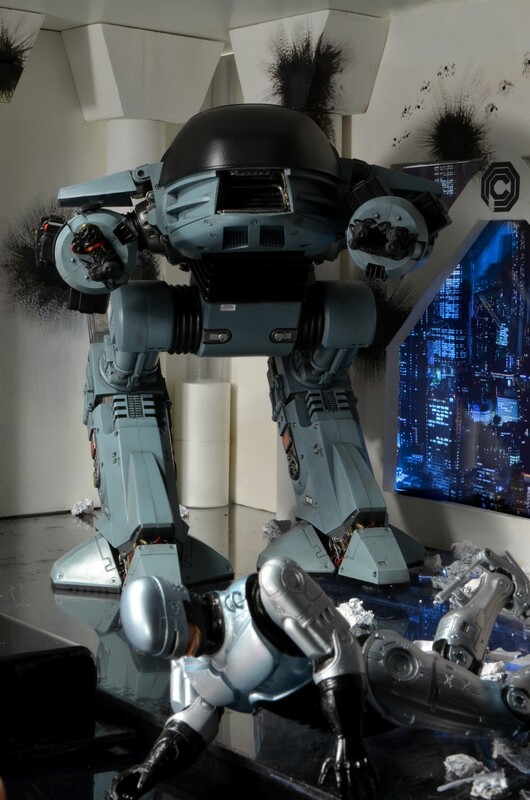 Let the record show that ED-209 is a lean, mean crime-fighting machine. 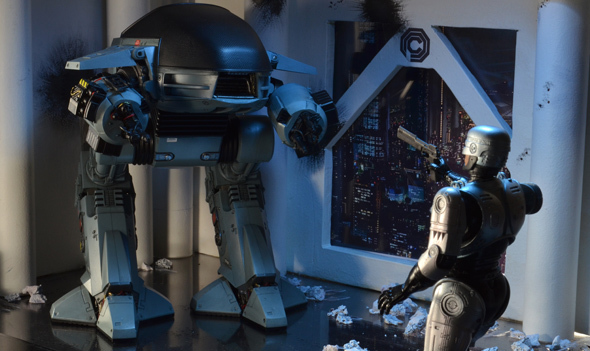 Ladies and gentlemen, we present to you conclusive proof that the Enforcement Droid 209 is an adversary worthy of Robocop. 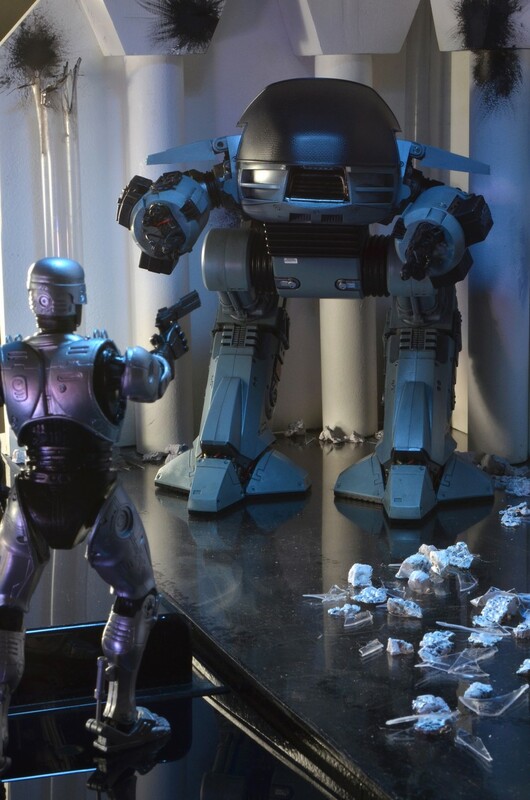 The video and photographs being introduced into evidence make it clear that no longer does Robocop need to waste his talent running down two-bit drug lords when this heavily armed menace is on the streets. 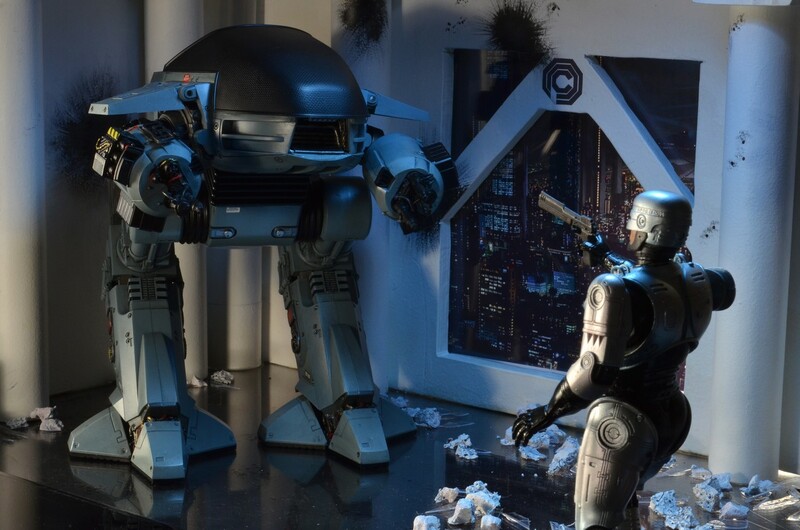 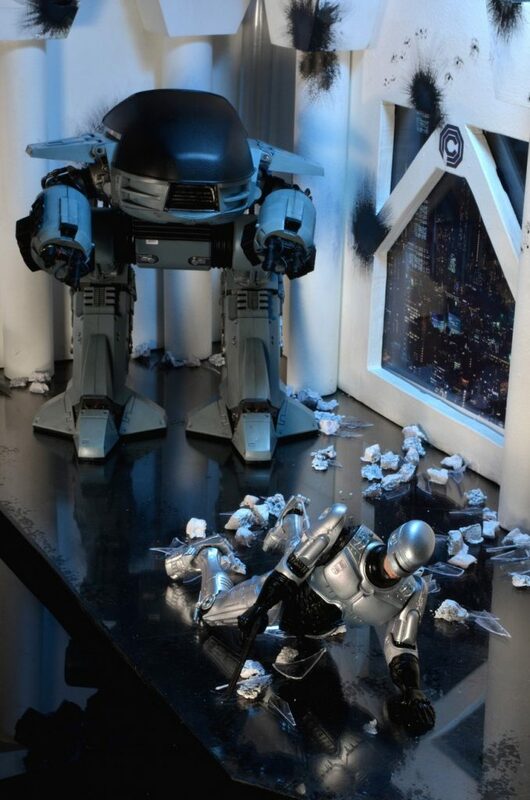 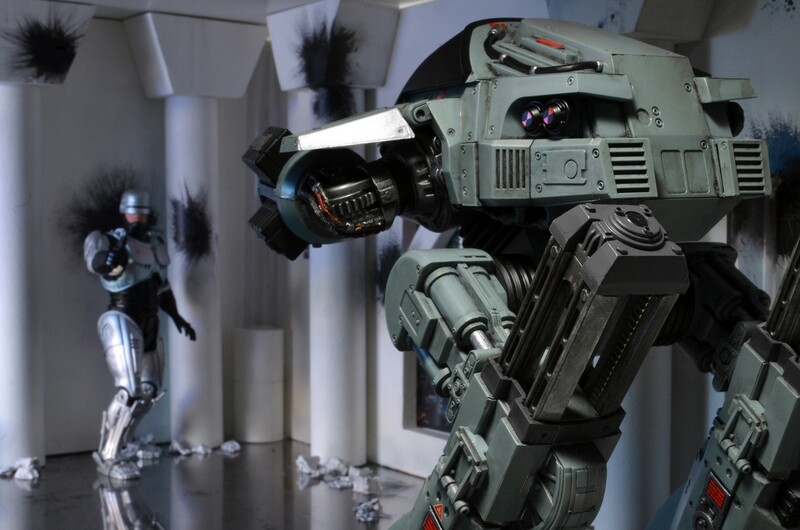 Standing nearly 10″ tall, the Enforcement Droid 209 Series is totally in scale with the 7″ Robocop figures. 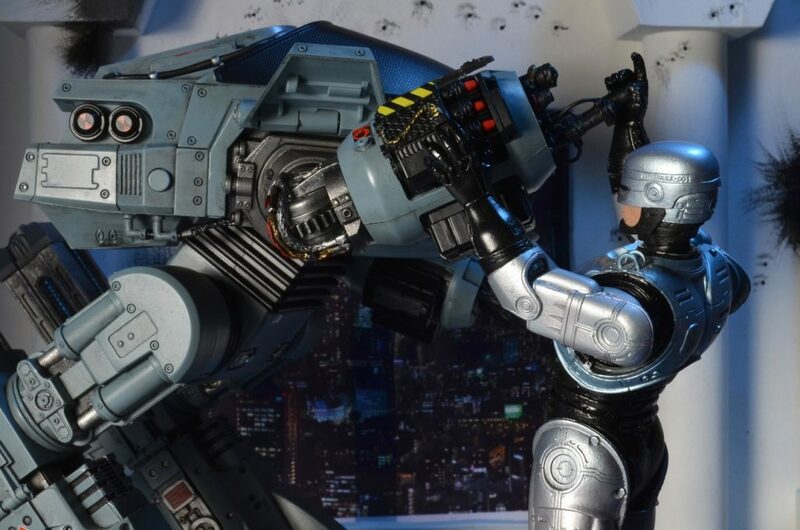 It’s fully poseable and features articulated head, legs that slide up and down, hinged arm wing panels, poseable cannon arms, and pop-out rocket launcher on the right arm. 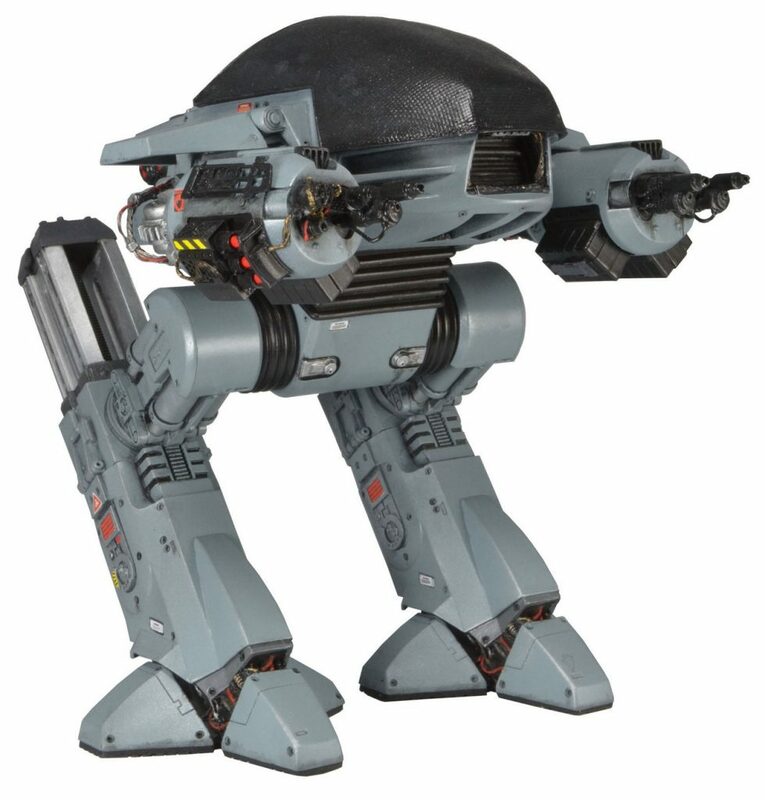 Also features movie accurate sound effects and dialogue – press a button and hear the hydraulic machinery sounds, the guttural metal growls, “Warning, Throw Down Your Weapon, You Have 15 seconds to comply” and more! 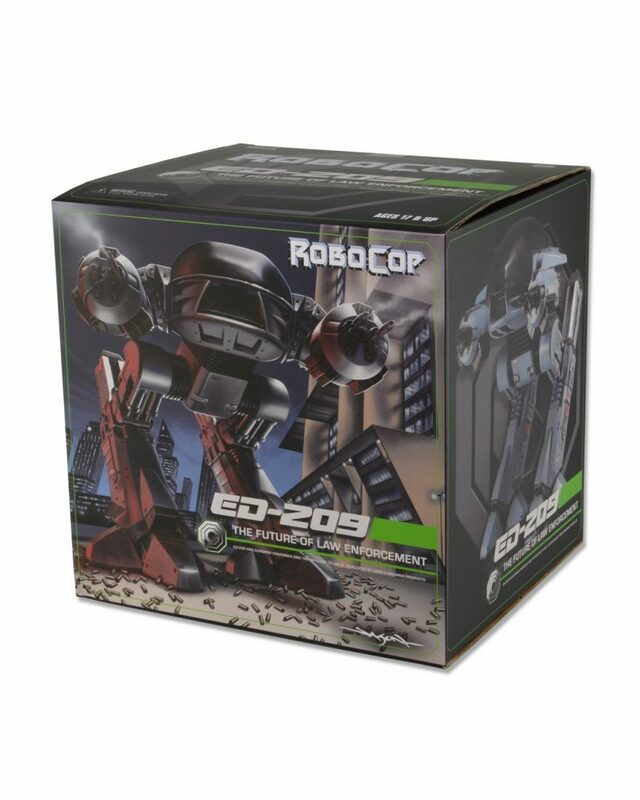 Comes in deluxe closed box packaging featuring original illustrations by Jason Edmiston and product photography highlighting key action features. 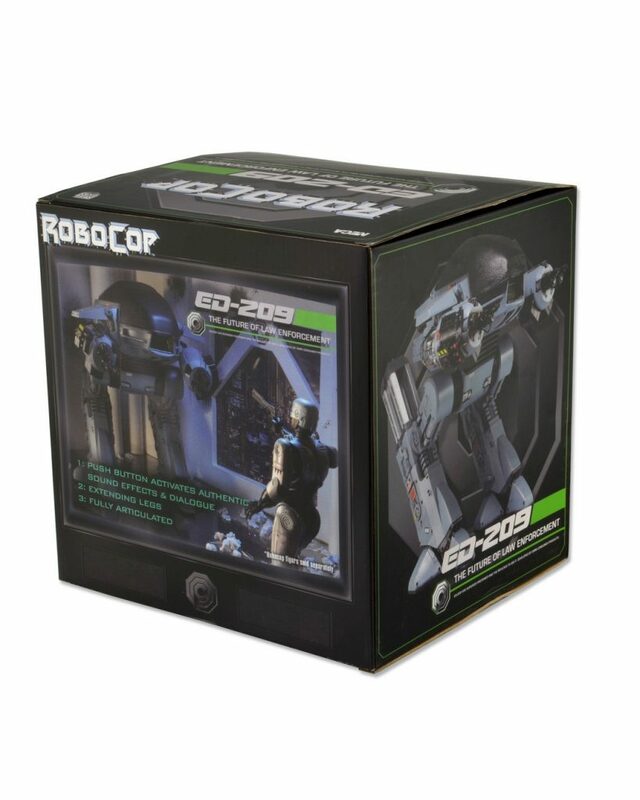 The ED-209 Action Figure with Sound is scheduled to ship in early January. 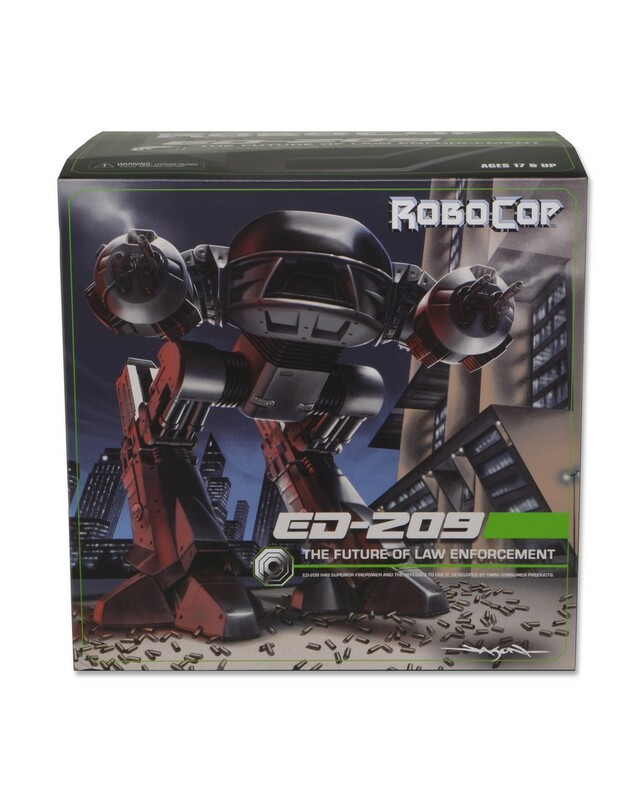 Shipping This Week – Ultimate Future Robocop, God of War(2018) Kratos Body Knocker, & Friday the 13th Pt 3 Jason!